Earth is a water globe. The resource of land is limited. 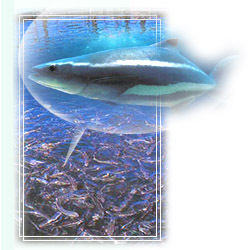 It is time and necessary to use huge ocean to breed and produce high protein sea food for human being. After many years studying with many scholars and specialists of aquaculture, now we use many new biotechnology ways to breed our fishes in our Wilson Fishing Farm. 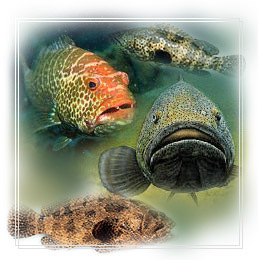 And can grow up to ninety five percent rate successfully in Tilapia fish, Grouper fish and Cobia fish. The use of biotechnology to grow up fish is a new and important way to our offshore aquaculture now. No growth-stimulating hormones again ! We not only successfully control the condition of water in every time, such as water temperature, Salinity, PH, Total Count, Coliform count, Escherichia Coli etc.. But also, we use NNV Killer Vaccine, NNV subunit Vaccine, NNV DNA Vaccine, bio-encapsulation + Recombinant DNA Vaccine etc. 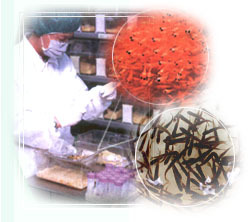 to protect our fishes from the deseases of Bacteria, Fungus, Parasite, Virus, and Nutrition. 2. Healthy and vaccined Fish Fry ( small fish ) for your fish farm. 3. 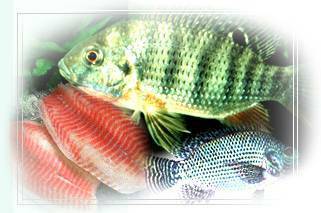 Pure and nutritious Feed for Small fish Fry, and mature fish. 4. All equipments of Offshare ocean aquaculture farm. 5. Consultant and / or joint venture on aquaculture enterprise. NEW and STRONG Mariculture Cage in Heavy Seas !! The most strong in structure of aquaculture cage. The biggest volumn cage in design. Anti Heavy current and wind forces. Friendly and Health to Fish response. Mesh can be tied on every triangle structure both inside and / or outside. Low cost ! High Harvest ! Any size ! We can do it for your requirement. Patent Pending worldwide. We are professional Designer and Manufacturer. any service in this good business. For more and further information, please click for good service.